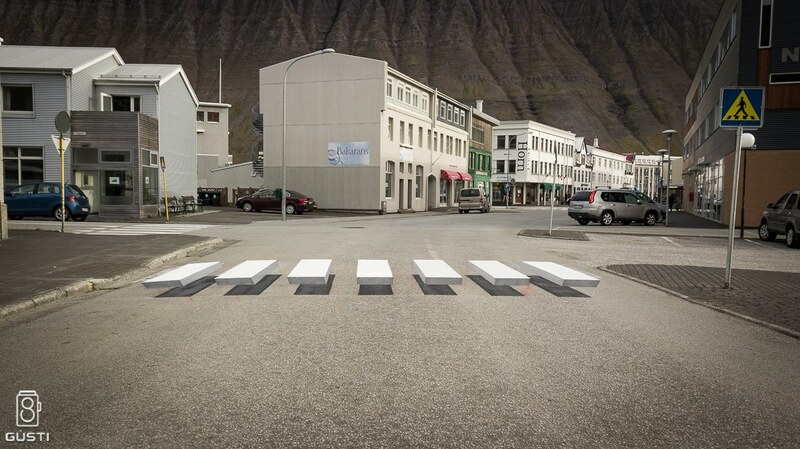 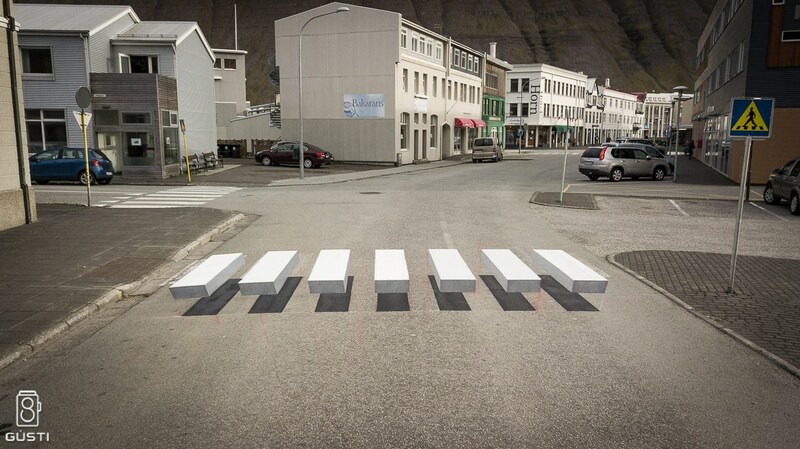 The quiet fishing town of Ísafjörður, Iceland now has one of the snazzier pedestrian crosswalks you’re likely to encounter: a traditional set of white zebra-stripes painted to appear three dimensional. 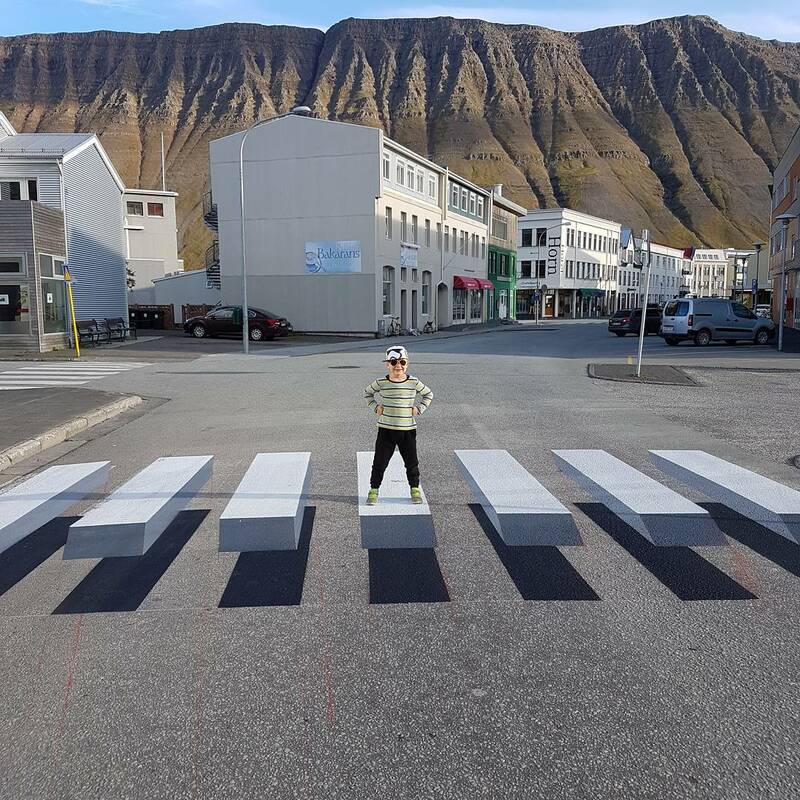 The piece was created last month as part of a collaboration between street painting firm Vegi GÍH and the city’s environmental commissioner Ralf Trylla. 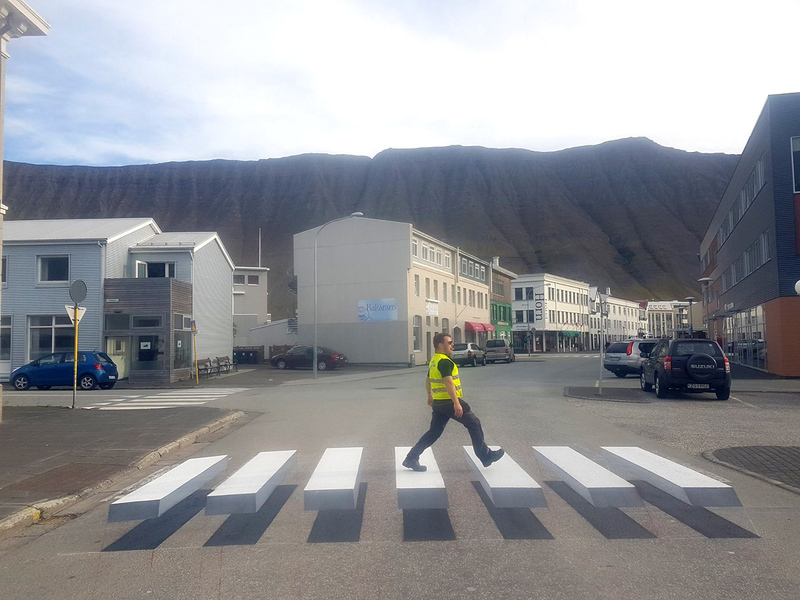 The city hopes the piece serves both as an artwork and as a stronger visual cue that convinces motorists to slow at the crosswalk.